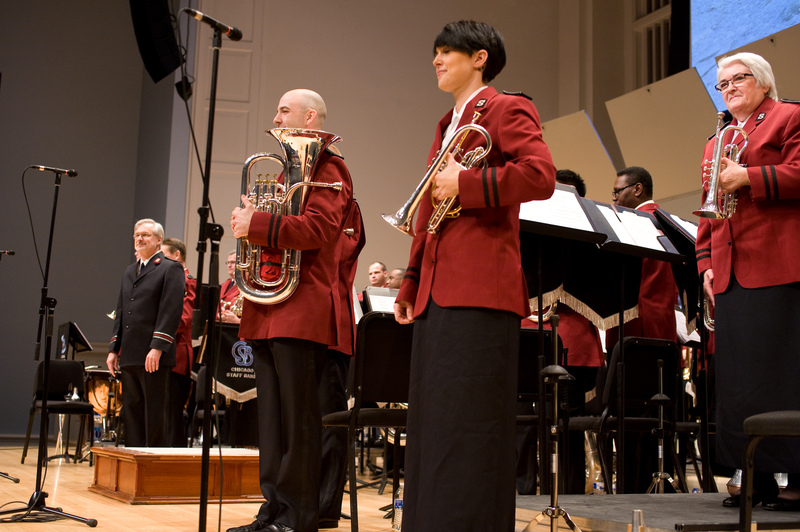 As the Chicago Staff Band (CSB) processed onto the stage for its annual Sounds of the Seasons concert, a sense of expectation was evident in the audience. 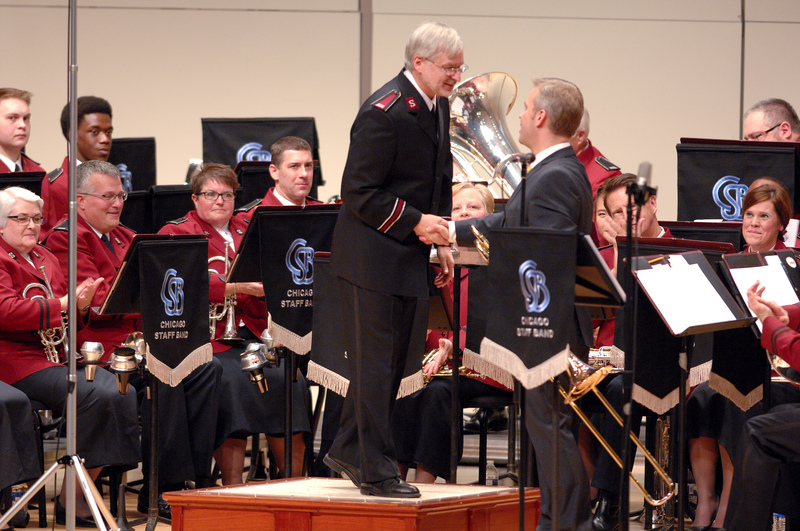 On this occasion, however, there could be few who would have known what to expect following a summer in which the band experienced 12 personnel changes, including the new bandmaster, Dr. Harold Burgmayer. As the audience held its collective breath, the baton went down and a new era was ushered in. 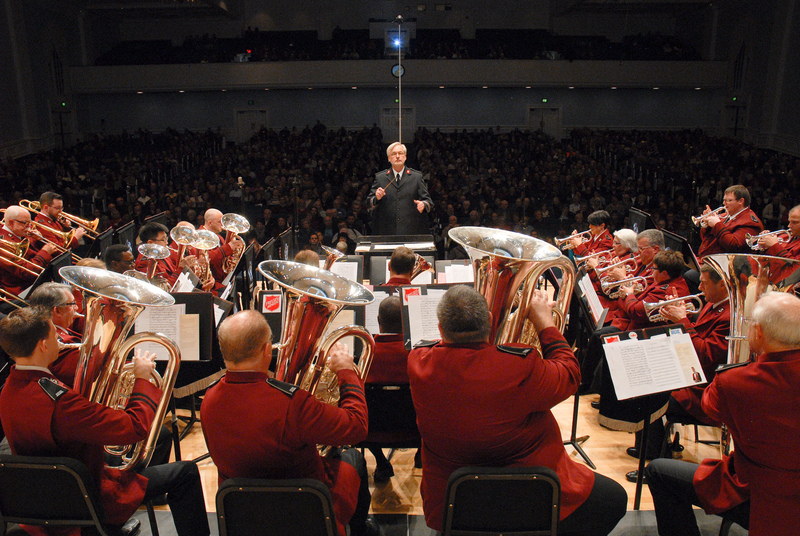 The band opened the evening with Fortress, the first of five items arranged by its new bandmaster. After a welcome and prayer by CSB Executive Officer Colonel Jeffrey Smith, the second Burgmayer piece came in the form of Ascalon Remix, a well-crafted amalgamation of three Salvation Army classics that feature the hymn tune “Ascalon.” In contrast, Paul Sharman’s This Day displayed the more sensitive and expressive side of the band’s playing, featuring several of the new principal players. 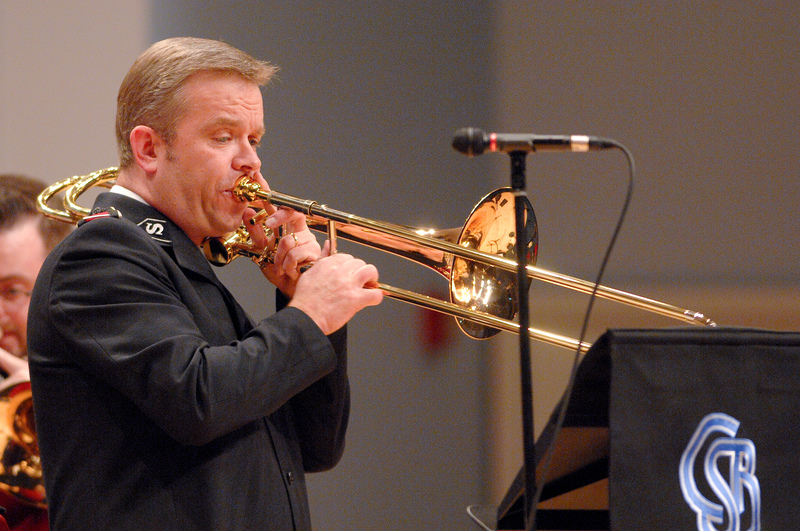 This year’s special guest was Paul Woodward, co-principal trombone of the world famous Black Dyke Band. His contributions in the first half of the program, The Follower and Three Songs for Trombone, were warmly appreciated by the audience. Paul then gave a moving testimony about his struggle with a serious illness that threatened to end his trombone-playing career. He spoke of how William Himes’ “All that I am” was a constant reminder of God’s faithfulness during this time. I personally appreciated the band’s fine performance of Illuminate, which I wrote for the CSB’s participation at the Boundless International Congress. This piece depicts a story of the young Christian who is challenged to be God’s light in a dark world. Illuminate closed the first half of the concert and was met with a standing ovation. The audience was given the opportunity to respond by singing, “O come all ye faithful.” Burgmayer’s enjoyable gospel arrangement of the Hallelujah Chorus, A Soulful Hallelujah, followed. At the close of the concert, band alumni were invited to the stage to join in singing the traditional “Choral Benediction,” conducted by William Himes.